On 15 April 1989, ninety-six spectators lost their lives at Sheffield's Hillsborough Stadium as they gathered for an FA Cup semi-final match between Liverpool and Nottingham Forest. 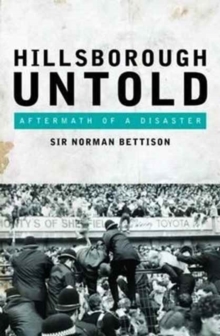 The events of that spring afternoon sparked a controversy that continues to reverberate through British football and policing to this day.Norman Bettison, a Chief Inspector in the South Yorkshire Police at the time of the Hillsborough disaster, witnessed the tragedy as a spectator at the match. Since then, he has found himself one of the focal points of outrage over the actions of the police. 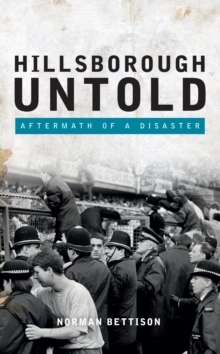 Comments he made in the wake of the Hillsborough Independent Panel in 2012 stoked further criticism in the press and in Parliament and, in October 2012, he resigned from his job as Chief Constable of West Yorkshire Police.This personal account describes how the Hillsborough disaster unfolded, provides an insight into what was happening at South Yorkshire Police headquarters in the aftermath, and gives an objective and compassionate account of the bereaved families' long struggle for justice, all the while charting the author's journey from innocent bystander to a symbol of a perceived criminal conspiracy.